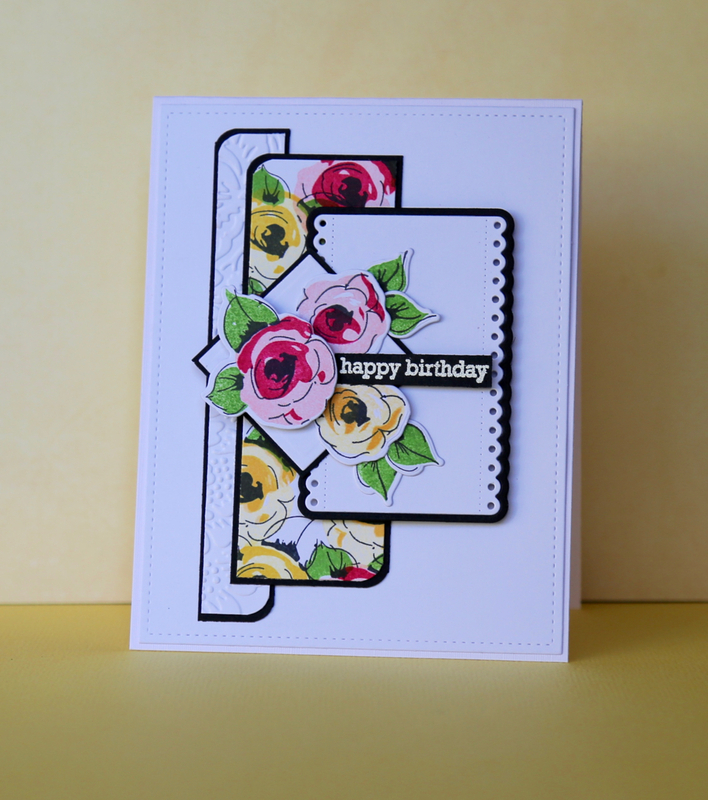 What a pretty card Claire!! Great job with the sketch! This is totally gorgeous, Claire! The black really frames those beautiful flowers so well. This is such a beautiful card! 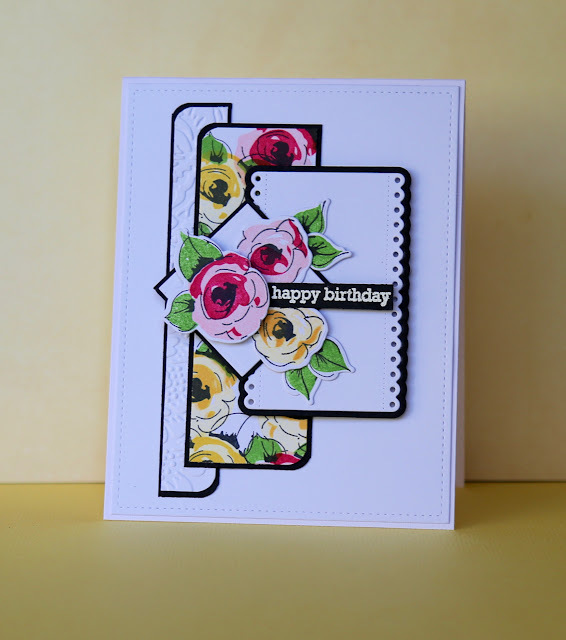 I love the way you used bold colors and also mixed those fabulous geometric shapes with the florals. It's a great structure and really stunning. Thank you so much for sharing your skills with us for this week's Simon Says Stamp Monday Challenge! This is positively gorgeous! Those black mats just make everything pop. Thanks for joining us for Mojo Monday!